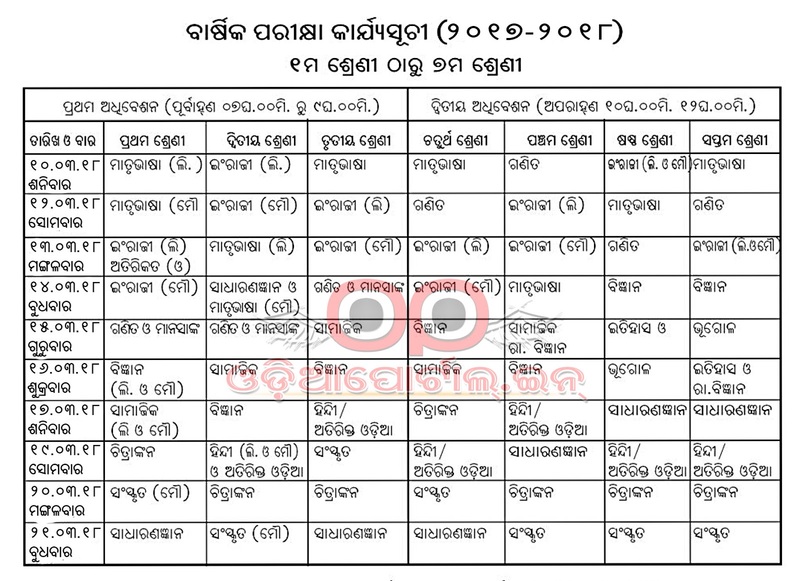 Sikshya Vikas Samiti, Odisha has published Annual Examination Time Table For Class 1st to 7th for all Saraswati Sishu Vidya Mandiras situated in Odisha. 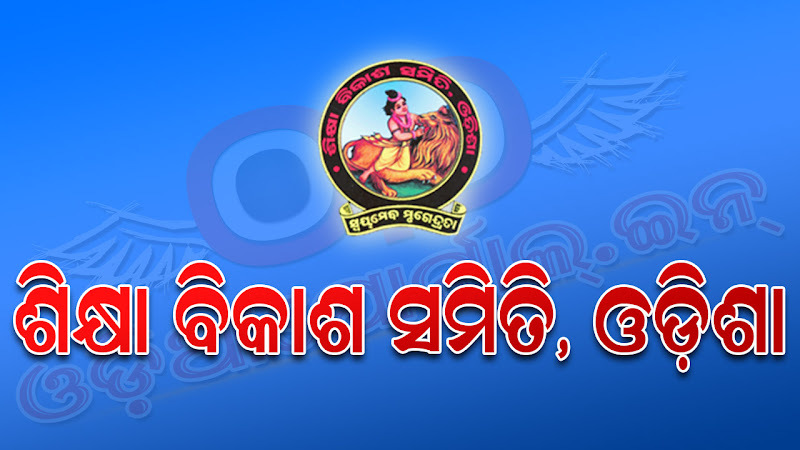 Annual Examination for Saraswati Sishu Vidya Mandiras going to start from 10th March, 2018. 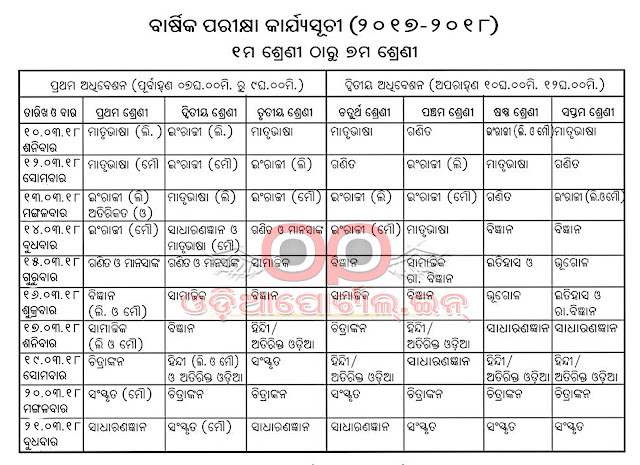 The Exam is going to start from 11th March to 23rd March.